Mt. 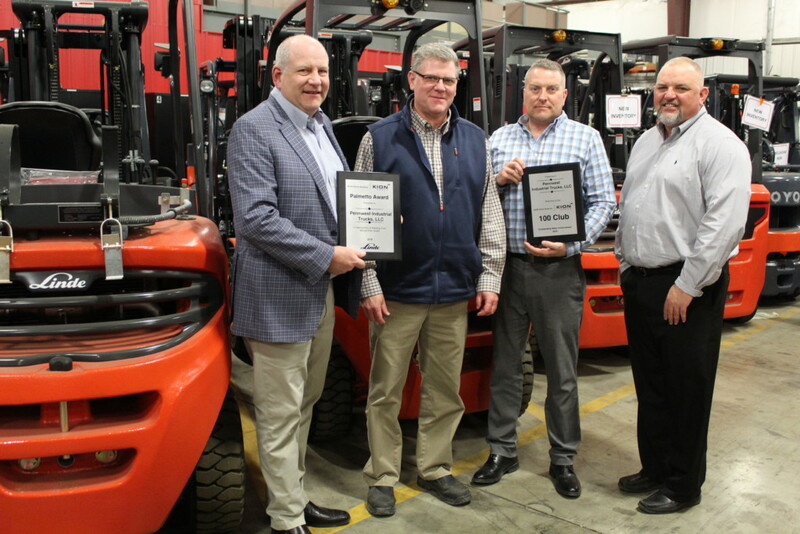 Pleasant, PA – [April 8, 2019] – Toyota Material Handling (TMH) announced PennWest Industrial Trucks is a recipient of the annual President’s Award which recognizes the top Toyota forklift dealers in North America. The revered award recognizes the top dealers who perform at the highest level in parts, service, equipment sales, customer satisfaction and overall operations. Out of the seventy-five Toyota forklift dealerships in North America, PennWest was one of fifteen dealerships to win this top honor. 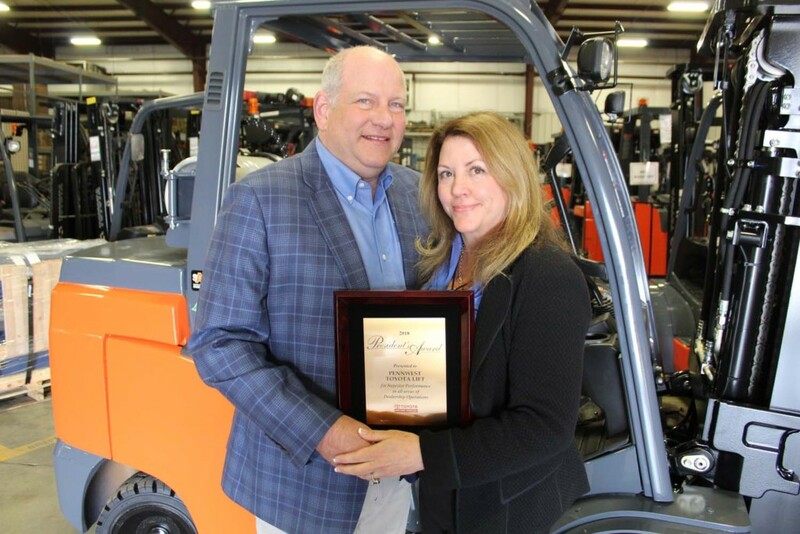 PennWest owner Mark Gaier and his wife, Libby, pose with the President’s Award next to Toyota’s signature orange forklift. 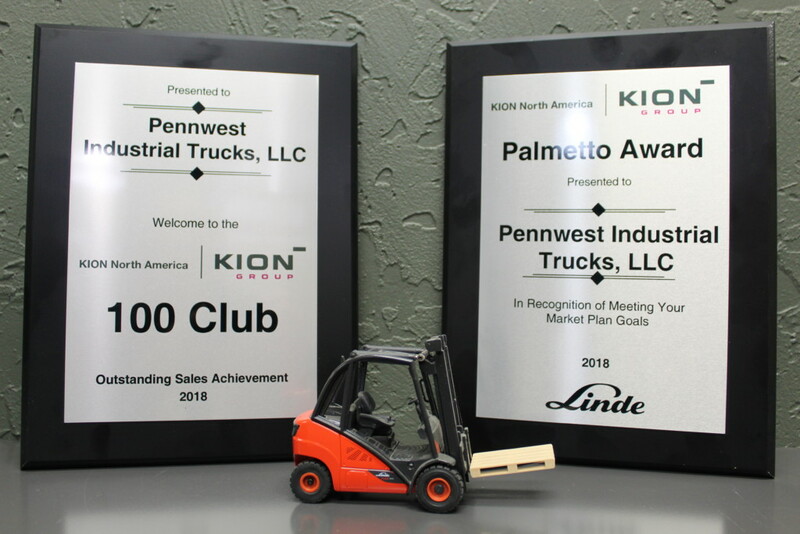 PennWest Industrial Trucks recently earned two top dealer awards from KION North America Corporation. KION North America awarded top dealers based on 2018 performance at its 2019 Dealer Meeting in Charleston, South Carolina last week. 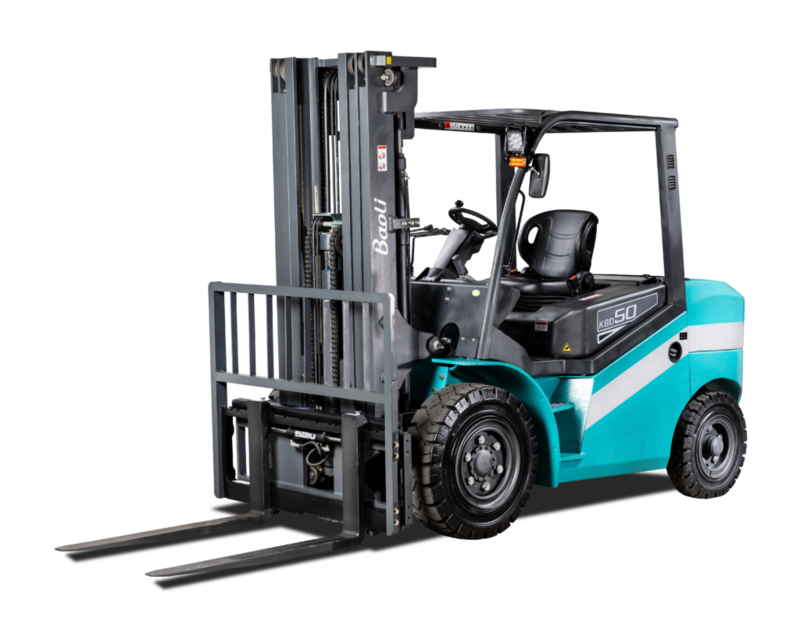 The 2019 Dealer Meeting gave dealers the opportunity to be the first in the industry to see the new full line of warehouse equipment that Linde Material Handling will release in North America.